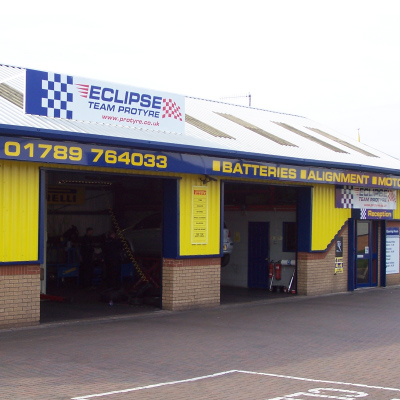 Originally opened as Eclipse Tyres, the Protyre Centre in Alcester has recently extended its services to include MOT testing and vehicle servicing. Keith and his team now provide a comprehensive service for motorists as well as MOT and servicing the centre offer a diagnostic service to identify any issues. The Alcester Protyre also provide tyres from all the leading manufacturers including Pirelli, Bridgestone, Goodyear, Michelin and GT Radial. The Protyre Alcester team will be pleased to advise on the best tyre to meet your driving requirements. Providing a complete range of mid range and budget tyres. Used Protyre for new front pads and discs. They phoned and booked me in, completed the work in the time frame provided and called to let me know the car was ready. Checked all my tyres and advised I was good to go. Received lifetime deal on free replacement pads. All in all very happy. Very quick and accommodating reasonably priced and all issues with my car was rectified quickly.